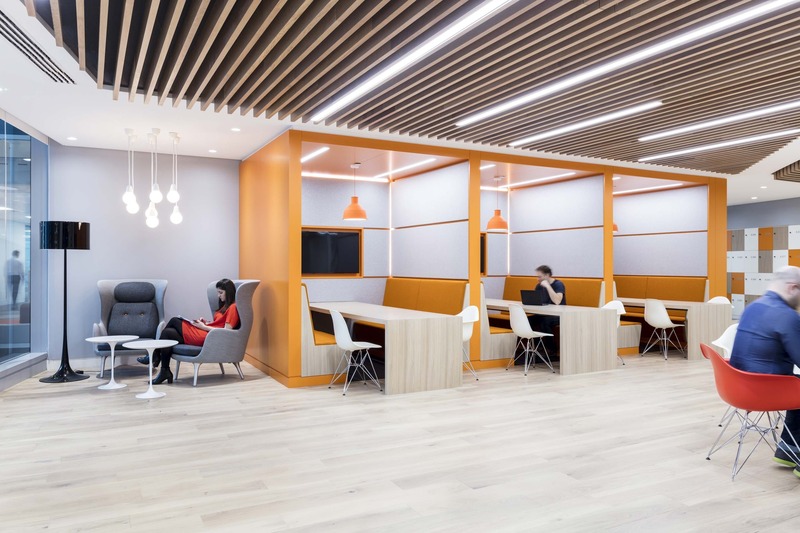 Consolidating their staff into one 260,000 sq ft European Hub Headquarters building at Canada Square, in Canary Wharf from multiple London locations, we were commissioned to work on all phases which will complete by 2020. 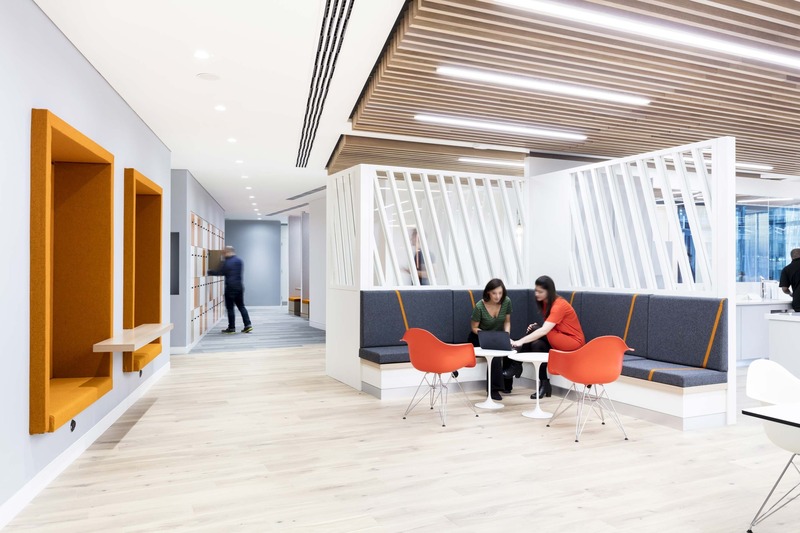 Our design needed to create a ‘one’ culture mentality and improved efficiencies to support - the work-styles of present and future generations of staff, positive Change Management and evolve the working environment to be more collaborative, efficient, productive and flexible. Introducing cutting edge communications technology and reinforcing Thomson Reuters’ core brand values. The first of three phases has now completed and comprises the fit-out of two working floors for 1,000 employees. 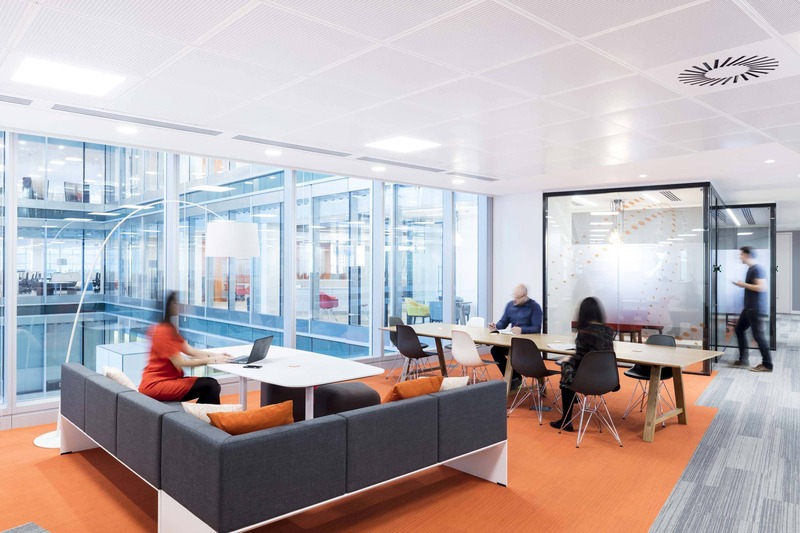 Our design vision centres on four themes - the creation of a home and landmark, the provision of flexibility and functionality, the need to improve connectivity across the business functions and the introduction of new agile working. 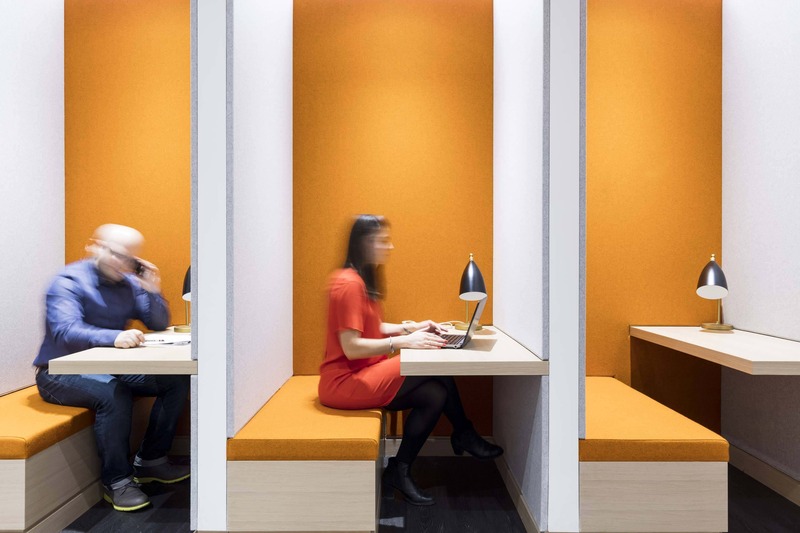 In introducing this new working programme, we have designed a multitude of open and enclosed work settings, enabling Thomson Reuters’ employees to work where, when and how they choose dependant on the task in hand. Latest technologies have been installed throughout to facilitate high levels of flexible working. 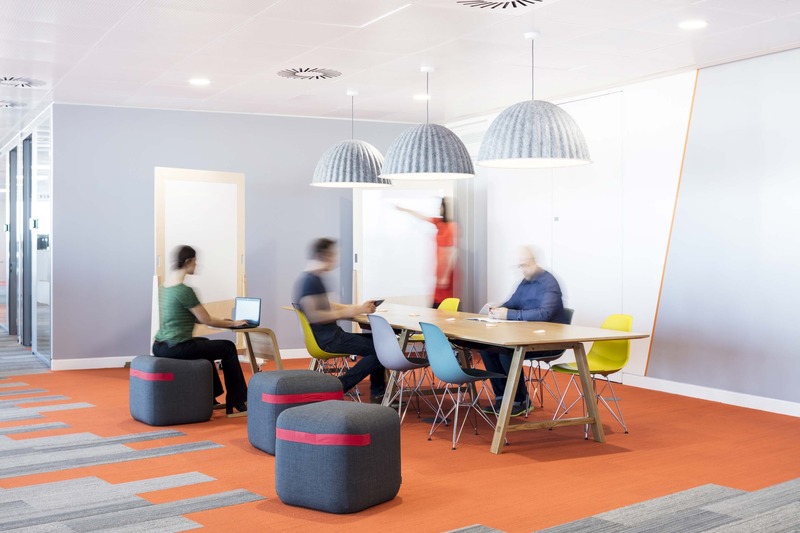 Both floor plans have been designed to promote interaction with a centrally located ‘destination point’ that maximises connectivity and collaboration between the floors. A vibrant colour palette has been used throughout in line with Thomson Reuter’s brand identity; accents of colour help identify feature areas where interaction and flexibility is important. Whilst the incorporation of a stunning set of graphics and manifestations on both floors conveys brand values and key messaging to employees. The completed Phase I (levels 6 and 7) has created the standards for Thomson Reuter’s new ways of working and global design standards and has set the bases for the future phases.